It's time to recognize the inherent CIO paradox and start fighting back. Ten years ago, I started asking CIOs a question: When you walked into your job, what did you find? The answer, roughly 90 percent of the time: "I inherited a mess. The IT organization had major delivery problems and no credibility with the business." A decade later, I am getting the same answer. How can this be? Is every CIO I have ever spoken to an idiot? Or, more plausibly, is there something so inherently problematic about the CIO role that even the most talented and experienced leaders have trouble making it work? Few would argue that your role suffers from inherent contradictions: business acumen versus technology skills, operational fixation versus strategic ambitions, innovation versus cost containment, enterprise responsibility versus siloed demands, and ultimately, accountability versus disempowerment. These contradiction form a "CIO paradox" that is deeply embedded in governance, staffing models, executive expectations, budgeting, even the titles that IT leaders hold. The CIO paradox can be as profound as this: Bad technology can bring a company to its knees, yet corporate boards rarely employ CIOs as directors. It can be as pragmatic as the perennial conflict between risk mitigation and product innovation. Certainly it will take more than one column to tease out these elements and tap CIOs on how to attack, reverse or neutralize them. Watch this space over the coming year as I join forces with the CIO Executive Council and broader leadership community to help fight back against the CIO paradox and level the playing field for IT success and the positive evolution of the CIO role. For now, I offer one element of the CIO paradox and an intriguing way to overcome it. Scott McKay, CIO of Genworth Financial, describes the paradox this way: "Many CIOs see their role as an enabler to their business peers," he says. "But precisely because they are enabling business results, rather than driving them, they are not perceived as highly strategic to the management team." In fact, many CIOs regularly proclaim with great pride that they have no "IT" projects at all, only "business" projects. "The traditional CIO education includes a number of IT governance practices that instruct the CIO not to champion any initiatives and to always have a business sponsor," says McKay. "But unless CIOs get comfortable stepping beyond those traditional IT governance paradigms and take leadership of business initiatives, they will never have as much impact as a sales leader with accountability for a new product." 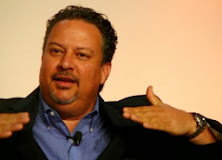 Specifically, McKay says CIOs should step out of the enablement shadows and become the competitive capabilities expert. "Generally, a business needs only a few differentiating capabilities to be competitive," says McKay. "With his or her access to processes and data, the CIO has the unique ability to baseline business capabilities and to identify which of these need to outperform the competition." If CIOs can harness this powerful data and process perspective to become their company's competitive capabilities expert, they will be better positioned to drive strategy. "This is an incredible opportunity for CIOs," says McKay. "Some will take it and some won’t." Over the years, we've called it many things: demonstrating IT value, business and IT alignment, and we've probably used a few phrases not appropriate for print. This year, let's call it the CIO paradox. But whatever we call it, it's hurting our enterprises, holding back our teams and threatening the Future-State CIO. If we are ever going to move past it, we need to get started. My friend Martha Heller makes some great points in this article. And Scott McKay makes a good case for another CIO value label toward becoming a strategic partner in the company. “The Competitive Capabilities Expert”. I like it. The key to all this is the fact that CIOs are operational experts that manage innovation via a creation, transition, operation, and optimization framework that requires a balance between affordability, convenience, speed and security. The CIO should never report to the CFO, CAO, nor to any-cost centric or shared services c-level. The CIO should only report to the CEO or in the very worst case to the COO. The CIO should drive the top-line while maintaining the bottom line from growing. The CIO manages data and processes around it. Data and the Processes around it are the ultimate competitive weapons in any business. That is the key. Furthermore, you can only reduce your costs to zero from your starting point – a limited domain. On the other hand, you can increase revenues to infinity while containing costs; hence, increasing the bottom line as well consistently. That is the real issue, in my opinion and after 23 years of experience. So, is your CIO focus on growing the top line or just reducing costs? Or both?